If you are in the SEO game (search engine optimization), you are probably aware that Google constantly updates their system with new algorithms. One of the biggest reasons for this is that they are trying to remove high ranking sites that don’t deserve such a ranking, by having a fair ranking system. And unless you work for Google, you will not know what changes they have made in the new algorithms. Though this does not mean you won’t be able to prepare your site/blog for the changes. 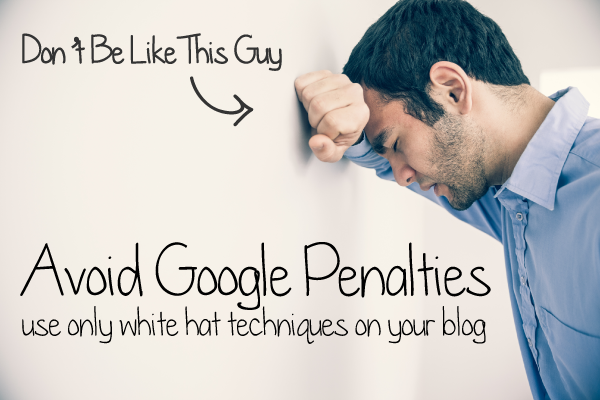 There are many things you can do to avoid being penalized as Google updates their system. In this article I will be discussing some important ways to doing so. If you’re familiar with SEO, then you have probably heard of some ways that work and don’t work for getting good page rankings. But you will not fully understand SEO by merely reading what others think. For instance, many people think the SEO game has totally changed after the new Penguin update. This is not true. Google still uses some of the same main concepts for ranking pages. They are trying to give rankings to only the top quality sites. This was what they were trying ten years ago. Now it is the same. Google only changes some of the criteria. One way to rank high on Google is to build a more trustful online image for your site. Having a more trustful site will show Google that your site is genuine and of higher quality. It shows that people find your site as having helpful/interesting information about a topic. Increasing trust will help your site be ranked on Google even after they update their system with new algorithms. For many years, Google has placed importance on the number of “social votes” your site receives. They count how many people share your page on sites like Google Plus, Facebook and Twitter. They also count the numbers of shares in other social networks, but these are the most popular. Get as many “social votes” as you can. Be aware that some people attempt to sell votes. This may seem like an easy way to receive exposure but can actually hurt your page ranking. Fake votes leave footprints that Google will detect and identify as being fake. Your site will then be penalized. One of the best ways to get people to “like” or “share” your page is by writing quality content. Of course if you are already knowledgeable in using social media to helping your site then you may have an advantage over your competitors. But if you don’t then you can hire someone to do this for you. You have probably heard to get quality links on your site. Yes, this is one of the best ways to building a more trustful site. Having several quality links will help rank your site higher on Google. Though, this is not always an easy task. Some people will even sell links. My suggestion is to never buy links. Google has developed more advanced ways to detect for paid links. They can do this because sold links leave footprints. And even if you rank high with paid links, there is no guarantee that this will last and there’s a good chance that your site will be penalized. A great way to get quality links is by guest blogging. This means writing articles and offering them to other bloggers. Most bloggers will agree to use your links if you offer them quality content. Go for long tail keywords. Understand that ranking for a variety of keywords can be challenging. Typically in every niche there are keywords that are highly competitive. But there are also many less competitive keywords that you can use to avoid some of your competition. To give you an example, here is a blog that I have been working on about surveys for money. It’s about paid online surveys, where I promote my CPA offers. Now if you search for keywords like “surveys” or “online surveys”, which receive a lot of traffic, you won’t find me because I have chosen to avoid these as they are too competitive. So instead of trying to rank for these, I try to rank for long tail keywords. I targeted long tail keywords in my blog posts. All of my blog posts rank well for a variety of keywords. For instance, one of my blog posts is optimized for all of the following: legitimate surveys that pay, legitimate survey sites, and how to find legitimate surveys for money. Another post is optimized for: mysurvey review, mysurvey legit and other similar keywords. This post is about a review on a popular survey company called MySurvey.com. The advantage of using long tail keywords is that you will typically receive a more targeted audience. What do I mean by this? Well let’s go back to my online survey example. Say a person searches for “survey” on Google; this person is not necessarily interested in joining a survey company and may find my site to be unhelpful and avoid it. By having long tail keywords, your traffic will be more targeted. These keywords may have less traffic but are a lot easier to rank in. Don’t give up if Google lowers your site’s ranking. Google’s algorithm will typically move your site’s ranking from time to time. You may find that your site is ranked in the top ten one day and then in the top 100 a week later. This is definitely not good, but what should you do if this happens? The best thing that you can do in this situation is just to keep working. If your site drops and you stop working, it definitely won’t help your site get back to a higher ranking. I’d suggest you ignore this and continue staying focused on your site. You will likely see your site at a better ranking soon after. Wow! That had to be incredibly disappointing! Were you able to recover your articles to use somewhere else? These are really great tips! I have found that long tail keywords really do work wonders when it comes to getting results.